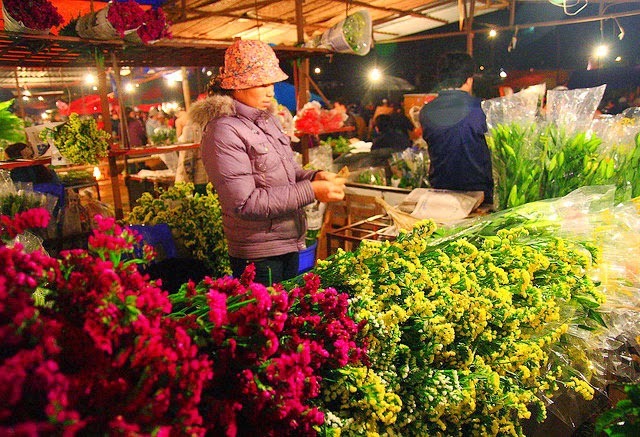 Without any day-off around year When Hanoi falls asleep, Quang Ba Night Flower market is bustling. It is located in a small corner of Nghi Tam, Tay Ho District and considered the terminal market with various kinds of flowers. 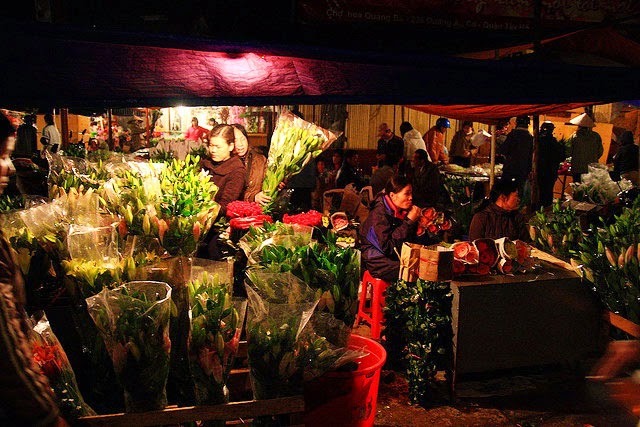 The originally name of night flower market is Quang An but people call it by several names such as Quang Ba flower market, Au Co Flower Market, Nghi Tam Night Market… Although being called by different names, it still attracts people by the simple but charming beauty of flowers at night. From 1 am until morning, the flower market is crowded with many people. At 10 pm towards, big bunches of flowers on trucks are transported to the market and stored in the stalls. Flowers both come from the surrounding areas such as Dong Anh, Me Linh, Gia Lam, Tay Tuu or far from Dalat. The market is devided into two shifts. 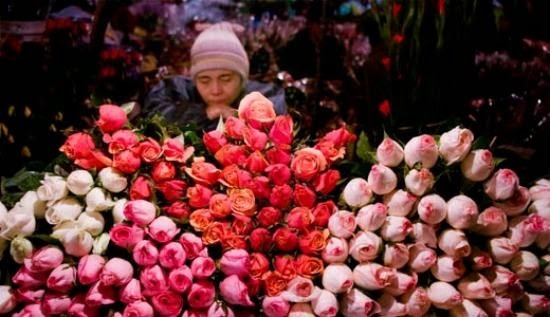 From 2am to 4am is for whole sales selling for retail sales and from 4m to morning is for flower-dealers. Anytime, Quang Ba Night market still keeps its own unique culture and value in Vietnamese life and is the ultimate symbol of Vietnam in the eyes of foreigners.